Powering over 17% of all the websites available on the Internet, WordPress is undoubtedly the most popular website building tool and content management system. The best thing about it is that it’s available for free. Which makes it an ideal platform for non-profit organizations and institutions, like- the Churches. Considering the limited budget of Churches and religious institutions, it is an ideal platform to build and maintain a website to promote and spread the message of God. All you have to do is download WordPress, install it on your domain, download and install a dedicated Church WordPress template or theme available on the web. 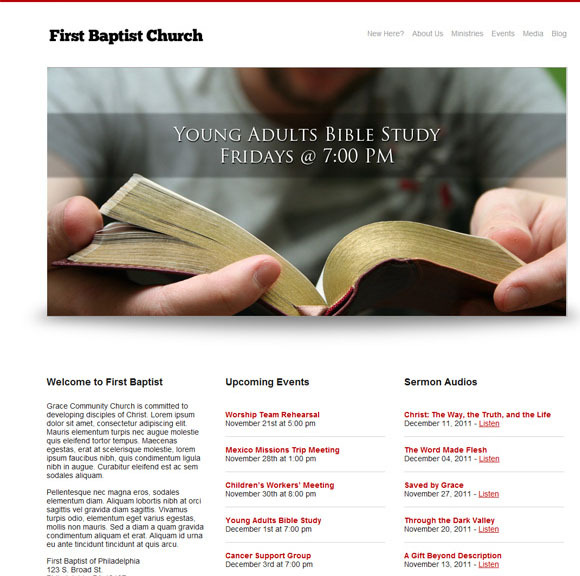 After some configuration and styling, you will have a working website for your church. 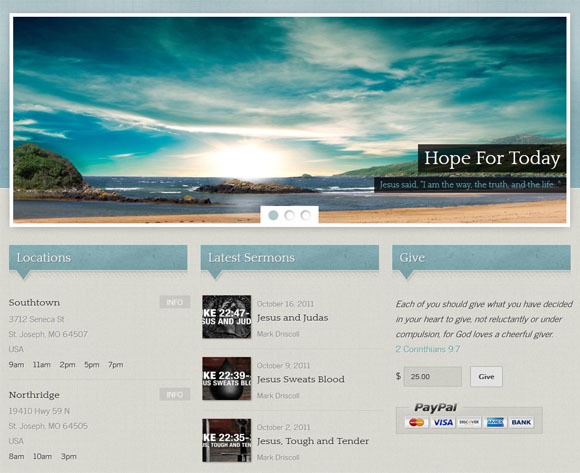 However, finding a free church WordPress template out of millions of paid ones is very difficult. 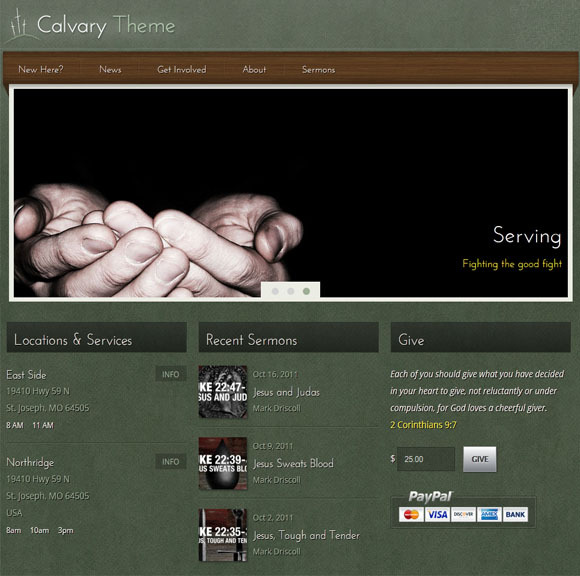 Here we have listed top free WordPress templates that can be used to build a website for a church or any other religious institution.If you have a custom design in mind and wish to convert it to a custom WordPress theme you can contact this site and they will convert your image design PSD to WordPress theme in no time and at the most competitive rates of the industry. 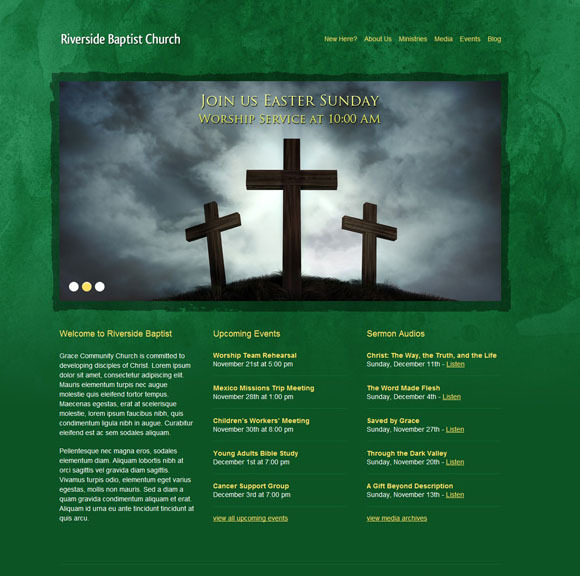 As the name suggests, Simple church is a simple and elegant theme with an inbuilt slider, a dedicated event calendar, and a great media page on which visitors can listen to sermons. The theme has a very detailed and descriptive documentation available on the theme’s website. The best feature about the theme is its ability to upload media files and play them in the page through a small media player. The user can also customize the logo of the website through theme options in the WordPress dashboard. This theme has all the features mentioned in the theme above with the only difference being a robust green colored design. The theme has a built-in slideshow that enjoys a dedicated Slides tab in the WordPress dashboard menu which can be used to add content to the slider. Special theme options is also available in the WordPress dashboard that can be used to modify the general settings, slider, and the media player. Antioch comes in three different editions out of which one edition is free to download and use. It has a beautiful design having all the main features required of a WordPress theme and is highly customizable. The best part about this theme is the dedicated social footer tab and the sidebars tab in the theme dashboard. The social footer theme option can be used to link all the social networking accounts of your institution, whereas sidebar tab can be used to customize the sidebars. In addition, the posr reorder option of the theme is also a plus point. Trinity is a clean and simple WordPress theme that could be used to specifically highlight the content in the website. The theme has a smooth built-in slider that can be controlled with a dedicated option tab in the theme dashboard. This theme also has a dedicated Social Footer and Sidebar tab that can be used to add a social media button at the end of a page and customize the sidebars. 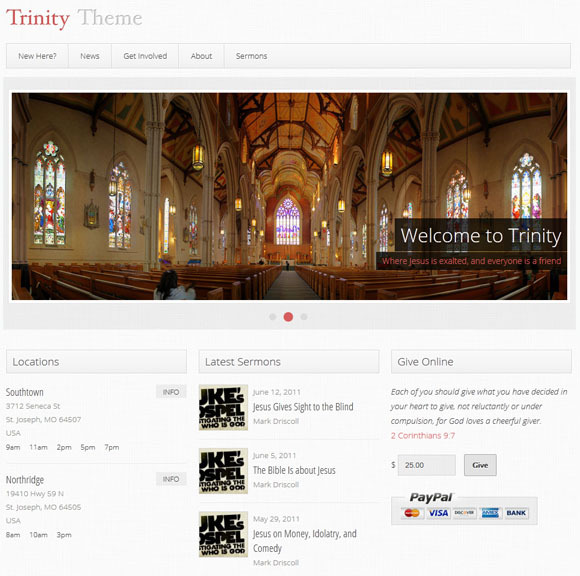 Trinity theme is also highly customizable. Cavalry has the same features like the previous themes, but it has a more robust design. This theme also has a smooth built-in slider that can be controlled by a dedicated slide tab in the WordPress dashboard. Another great feature of this theme and the previous two is the ability to add Google analytics code and custom CSS code in the theme. Along with that there is special icon features named iOS icon that will display a specialized icon of your site when your site will be saved in homepage of any iOS device.